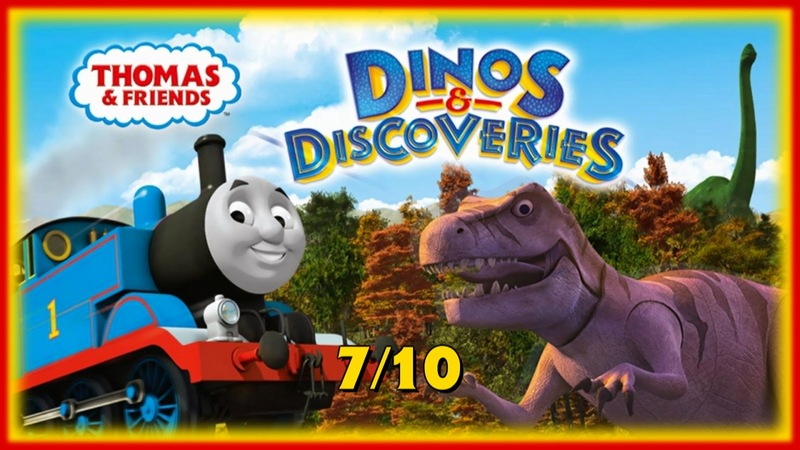 To finish this marathon of reviews, here are my thoughts on the Dinos and Discoveries DVD! Since I've already reviewed the episodes already, and I'll probably expand on some of them in my series 18 overview, I won't go deeper into any of them here. All I'll say here is that they're a real mixed bag, and even the good ones are heavily flawed. That said, since this is another DVD where all the episodes has never been seen on TV, it does raise the value of it a bit. The features here are the usual variety of segments. Mr Perkins' Postcard focuses on shunting. It's a really good segment, and a bit different than the ones that just told us about a specific location. The only nitpick I have is that Thomas only shunts rarely these days since he has a branch line to run. His Storytime segment actually surprised me a bit. A few of the segments before this had been tweaked to add TV elements (engine repaints and Percy and the Trousers was elongated), but this was left completely unaltered. Seeing the original illustrations was lovely, and I also liked Loraine Marshall's artwork. It really captures Dalby's style brilliantly. It's also a nice little coincidence that this story was told at the start of the franchise's 70th anniversary. The Earl's Quiz was the standard fare, using Kevin's Cranky Friend and Thomas and the Runaway Kite as the question sources. It's the standard fare really. A nice little segment for kids. Calling All Engines featured Diesel and Caitlin. Again, it's the standard fare, really. 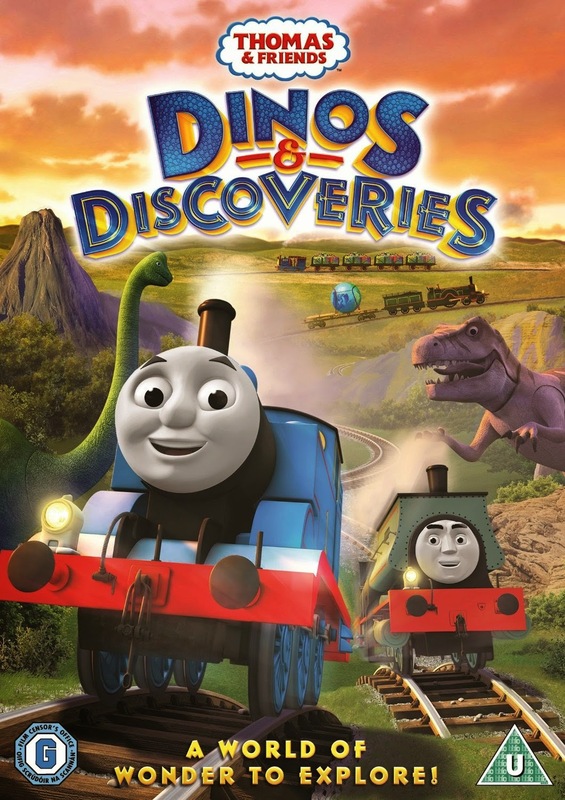 What did come as a surprise was a trailer for a brand new 44 minute special called The Adventure Begins, which will take viewers back to the early days of Sodor, including authentic liveries for Thomas and James! I've already left my thoughts on it, so for now, I'll say that it looks fantastic and I'm really looking forward to what the team can pull off. On the whole, everything look very crisp and smooth, as you'd expect from a Thomas and Friends DVD. Yes, there are a couple of animation errors within episodes, but they're not completely off-putting. The RRP for this DVD is £12.99, as usual. Again, if you do a bit of shopping around you can get it at a much lower price. The lowest come courtesy of Asda and HMV, who are selling it for £6 and £5.99 respectively. I feel rather torn about this DVD. While I don't think the episodes are that high of a quality, they are adequate enough to feel like value for money if you get it for the cheaper price tags that HMV and Asda are offering. Also, the fact that these episodes are exclusive to DVD raises the value higher, possibly more than the previous release. So yeah, I would recommend this, but I wouldn't expect the same quality storytelling that was on show in the series 18 episodes that aired on TV. You know, considering the fact that these particular episodes are a little lower than the rest of season 18, and the fact that it slightly returned HIT's old vices (though it comes of as a mix between the New, Nitrogen and Brenner eras), and the fact they are in one particular DVD, I won't be too surprised that they were "volunteeringly" created to fill the void of actual new toys.